Rat Hippocampal Neurons (RHiN) are derived from the hippocampi of normal embryonic rats by standardized methods. When cultured under the recommended conditions, RHiN arborize and form complex neurite network in one week. RHiN Stain positive for β III-Tubulin. 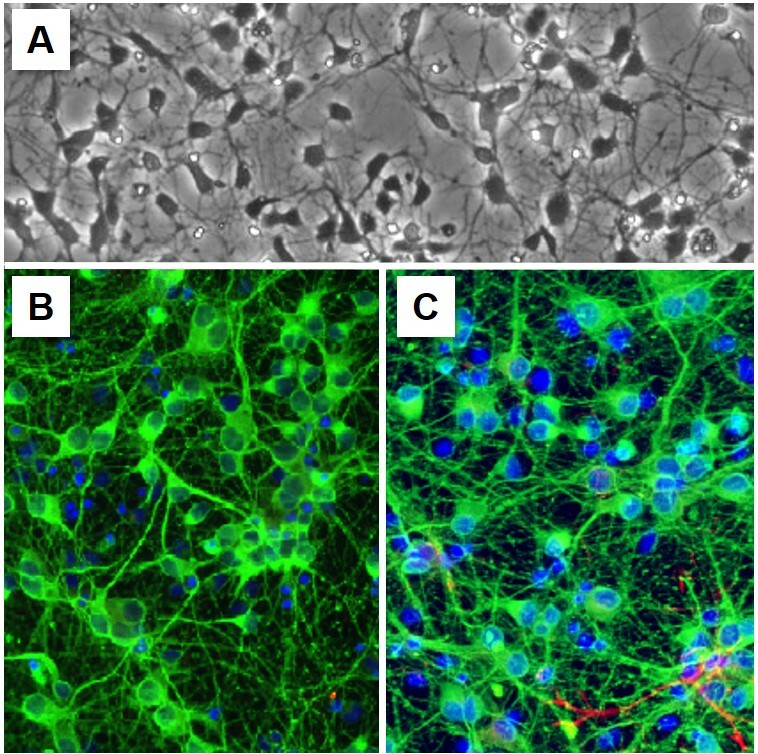 RHiN are available in multiple formats, including cryopreserved neurons, freshly isolated primary neurons in suspension, or pre-plated cultured neurons. The hippocampus, a major brain component located under the cerebral cortex, consists of two hippocampi, one in each side of the brain. Belonging to the limbic system, the hippocampus functions in spacial memory and navigation, and the consolidation of information from short- to long-term memory. Hippocampal neurons provide a model in vitro system for studying neurophysiology, neural plasticity and memory storage. Damage, disease or oxygen starvation in this region is associated with Alzheimer's disease, encephalitis, epilepsy and amnesia. Examining hippocampal neurons in those disease conditions will allow a better understanding of brain physiology, disease mechanisms, pathology, and foster advancements in drug development and ultimate clinical applications. (Click to Enlarge) Freshly isolated Rat Hippocampal Neurons (RHiN) cultured for 5 days (A). Freshly isolated RHiN (B), and revived cryopreserved RHiN (C) stained on day 8 for β III-Tubulin (green), GFAP (red), and DAPI (blue).